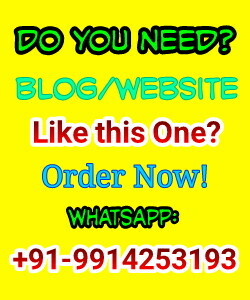 Are you into blogging and internet marketing? Do you want to start affiliate marketing and planning to earn the decent amount of money? If your answer is yes to any of the above questions then I am sure you are going to like this post today. Yes, I am going to introduce you an awesome Affiliate Network that helps you a lot in your affiliate marketing success. With every single day, one or the other affiliate network is coming into the market but not all affiliate marketing platform are doing good that can gain publishers trust. Only a few of them can impact the users and win user’s trust in the long run. Today I am going to discuss in details about one of the high paying affiliate network. I came across admitad affiliate network while searching for some good paying platform with the proper support system. I have read a lot about admitad before introducing here but I am sharing what impressed me most. In Simple words, admitad is a Cost Per Action (CPA) Network that helps advertisers with the reliable source of sales and provides monetization opportunities to publishers. admitad was started with just 10 members in 2010 and now they have expanded their team to more than 200 members who are continuously working for advertisers and publishers. admitad is revenue driven affiliate network and due to this reason, they currently dealing with 1300 widely recognized brands from the world. Some of these brands are some BIG Names from the industry like Alibaba, AliExpress, MakeMyTrip, eBay, Nike etc. 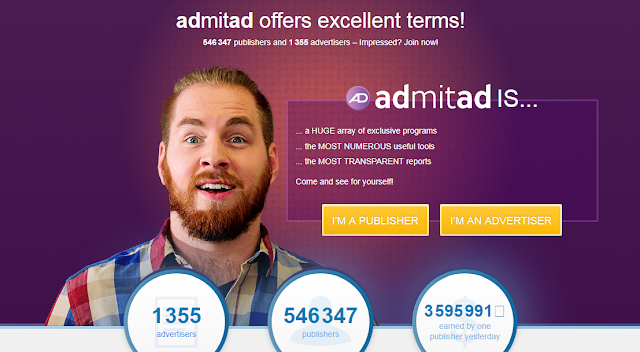 According to current stats, admitad is having 1348 advertisers and 545,203 publishers. They are working on a big mission to become the global leader that can bring a big success for their network advertisers as well as publishers. I’m sure you may think, we already heard a lot about such affiliate networks, but what makes difference to join admitad? Is there any specific merit that can lead over its competitors? The overall answer is “Yes”, below I am discussing in brief. Why You Should Join admitad Now? The robust affiliate system of admitad helps publishers and advertisers to enter in a global market with lots of opportunities and several offers. It helps to explore the revenue optimization in a more specific way for maximum profit. admitad developed several in house tools that definitely going to clear the system of analytics and anti-fraud. admitad is offering easy to use interface for all users. As an advertiser or publisher, you just need to sign up and everything will be ready for you. You will get dashboard from which you can track each and every necessary thing for your campaigns and earnings. They don’t have any hidden terms and conditions to get started with your very first campaign. admitad provides a huge list of tools that can be used by publishers to optimize the performance of ads and make more and more money through them. Tools such as Ad Server, Post Back URL, Coupons & Deals, Deep link Generator, Domain Parking, Broken Links, Useful admitad Extensions, Shortlinks, WordPress Plugins and some other tools are provided by admitad Network. I am sure you may hardly find such useful tools that improve your performance. If you are into affiliate marketing for a while then I am sure you will be checking your statistics too often. admitad provides a huge range of data in a logical way. You can filter them via SubID and check deeper insights. You can use all of these reports with other tools such as Excel by simply exporting it into XML or XLS. I am sure you will definitely try to avoid CPA network that covers few topics and restrict you to work under a fixed category. On another hand, admitad covers a huge list of topics so that you can use any of your favourite niches and start making handsome money. Some of the popular niches from admitad are e-Commerce, Mobile, Online Gaming, and Services such as finance, travel and much more. I’m sure you will impress with this eye-catching benefits that each and every admitad publisher enjoy. In general everyone like to receive the payment from their first earning. In case, if you worked with any other affiliate network then you notice they have some minimum threshold amount. They generally ask you to wait for a month to get paid. Sometimes this annoys beginners as they expecting shorter time duration, minimum threshold and multiple payout systems. Yes, admitad suits best in all segment as they pay as low as $10 with the weekly payout. If PayPal is not your main source for receiving payments then also pay through e-payments and wire transfer in all major currencies. Proper support means a lot to you even either you work as publisher or advertiser. You definitely need someone who can guide you and help to improve your revenue by optimizing the campaigns. admitad is one such network where you can expect personalized support in your native language. Once you signed up with admitad, you will get individual account manager. They will provide needy support in your native language so that you can optimize your campaigns easily. You will get quick solutions whenever you run into any problems. They won’t charge any single penny for providing personal assistant or priority support. So, what’s waiting for? Go ahead and participate in AliExpress summer rally without losing this awesome opportunity. admitad is one of the leading CPA Affiliate Networks that focus on quality supports, transparent analytics and regular offer from top notch brands. Their vision of global expansion surely helps advertisers/publishers to get benefited on revenue optimization. admitad is pushing hard to get in touch with more and more reputed and international brands such that they always bring exciting offer for publishers. You always get a huge list of niches and brands to start your very first affiliate marketing success. What else you want? Join admitad CPA Affiliate Network now. Share this post with your friends and let them know about this network. Message: I hope that you have enjoyed 'admitad CPA Affiliate Network - First Choice For Affiliate Marketers' article on Tips2secure. However, if you want me to deliver more items, then please share my post. You can use Social Sharing Widget provided at the end of every post. After all, Sharing is Caring!